In Seattle, both measures were capturing more than 60 percent of the "yes" vote. In Renton, voters appeared less willing to approve school funding, and a bond measure was failing. Levies to pay for Seattle Public Schools’ daily operations and construction projects were easily passing in Tuesday night’s vote count. The three-year Educational Programs and Operations levy (Proposition 1) and six-year Building Excellence Capital levy (Proposition 2) could cost property owners up to $2.2 billion. The operations levy was ahead, with 66 percent. The capital levy was winning with 68 percent. King County Elections tallied 82,823 ballots Tuesday. There are 464,058 registered voters in Seattle. More votes will continue to be counted over the coming days, as Tuesday was the deadline for mailing in ballots or putting them in official drop boxes. The $1.4 billion capital levy, to raise almost twice the amount as an expiring levy, would fund projects such as new roofs, windows, security upgrades, athletic fields and audiovisual systems throughout the district. The list includes a long-awaited new building for Rainier Beach High School and new buildings or major remodels at seven other schools. The first-year levy rate is $0.90 per $1,000 of assessed property value. That’s $632 in 2020 for a home valued at $700,000. The annual amount would decrease over the levy’s life. The operations levy could collect up to $815 million if lawmakers roll back limits on how much school districts can collect through local property taxes. If not, the 2020 collection rate will default to Seattle’s legal limit of $0.53 instead of the $1.05 in the levy. A little over half of the money from that levy would be spent on special education, and the rest on salaries, transportation and other programs beyond what the state allocates. 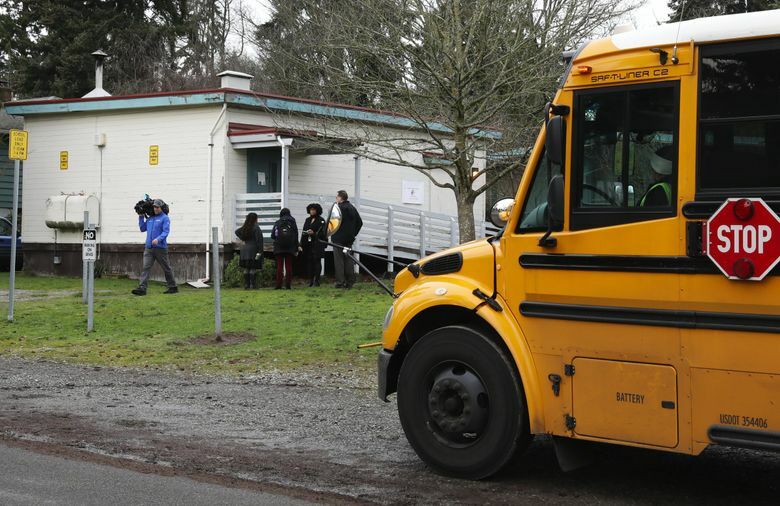 In its attempt to address the landmark McCleary v. Washington lawsuit, the Legislature in 2017 offset an increase in the statewide property tax for K-12 schools by slashing how much districts can collect with local tax rates. The levies promise only partial relief to school-district officials, who are forecasting several years of financial shortfall, by their accounting, for the state’s largest school district because of the state’s cap on its local levy collection. Even at the current legal limit for collection for 2020 ($0.53), the district says it will have to make $40 million in cuts next school year, which would likely include layoffs, a reduced budget for central administrators and reduced hours for employees such as librarians. “The passage of the levy is great news. That said, our work is not done,” said Stephen Nielsen, the district’s deputy superintendent. He says the district is hoping for help from the Legislature, such as an infusion of money for special-education costs. Seattle schools Superintendent Denise Juneau was on vacation out of the country and unavailable to comment Tuesday night. Education levies typically receive broad support from voters in Seattle. A levy last failed in 1996. Schools First, the campaign in support of the levies, raised $237,365, with a fifth of its money coming from Seattle’s educators union. Other contributors included Amazon ($25,000) and Microsoft. The district’s embattled school-bus contractor, First Student, gave $3,000. The district spent $25,000 on communications for the levies, including promoted posts on social media and advertisements. There is an outstanding complaint against the district with the Washington Public Disclosure Commission alleging that a district email sent to families about the levies contained language that appeared to advocate for voter support of the levy, a violation of state law. Opponents of the levies had far less firepower — the campaign created against the capital levy raised only about $1,200 — but say the district should be held accountable for how it spends levy funds. Tracey Lake, a retired stock broker who wrote the opposition statement for the capital levy, said she’d like to see more efficient planning and spending for construction projects. She questioned the district’s plan to use levy funds in order to pay off $10 million in outstanding debt on its headquarters in Sodo. In Renton, there is more suspense about the election’s outcome. Proposition 2, a schools operations levy, was passing Tuesday with nearly 60 percent of the vote. But for Proposition 1, a bond measure to build and renovate schools, passage requires 60 percent approval and a turnout of at least 18,578 voters. Tuesday’s tally had the bond measure winning with 60.11 percent and a turnout of 11,677 voters.